Summer is here, birds are singing, bees are buzzing - a good time to celebrate "Love & Marriage" at the Silent Film Spectacular this Sunday, June 24th. 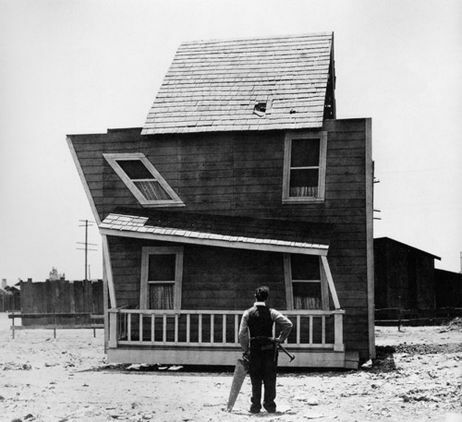 Who better to explore the ups and downs of romance than Buster Keaton, Harold Lloyd, and Harry Langdon? We're presenting an original hot jazz score to their classic two-reels in the cool comfort of Jalopy Theatre. Click here to purchase a $10 ticket from the Jalopy website. This event has been selected as a Critics' Pick in Time Out NY this week! If you've never seen Buster Keaton's "One Week" (1920), you are missing out on what most fans consider his very best short comedy. Keaton and his newlywed bride attempt to build an ideal lovenest, but it all goes awry when a jealous ex-lover tampers with their plans. As usual with Keaton, this two-reel is loaded with astounding acrobatics and big laughs, and this one features an extra helping of surprises. "Bliss" (1917) is one of Harold Lloyd's first comedies to feature his "glasses" character, and it full of great knockabout slapstick. After "love at first sight," Lloyd must survive a treacherous meeting with his new in-laws, including a violently overprotective father. 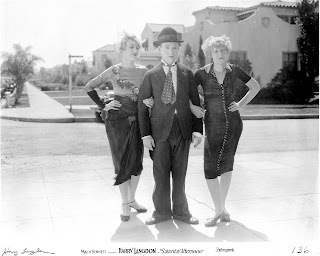 Harry Langdon plays a henpecked husband in "Saturday Afternoon" (1926) who is tempted into having an affair, but finds himself in a mess of trouble from which only his wife can save him. If you've never seen a Langdon film, this 20-minute film is a great place to start. His fame was a rival to Chaplin in the '20s, much more understated than his peers, and still hilarious today. Great fun for all ages and and each film is only 20 minutes long, so you'll be able to dip into Jalopy's fine selection of beverages during the breaks, and the evening will conclude with us performing a set of original tunes. Joining us on clarinet and sax is Jeff Hudgins, and Ben Stapp on tuba.